DAN MILLER'S NOTEBOOK: THE BEAUTIFUL ISLAND OF "DAN-LAND"
THE BEAUTIFUL ISLAND OF "DAN-LAND"
How often have you said, "I just wish I had my own little island, so I could get away from it all"? You know what? You can! I hear that wistful yearning from folks unhappy with the outcome of an election.... or who don't want to pay their share of taxes.... or who don't like being told what to do.... or who simply don't want to be around other people, for whatever reason. So I did a little research and, lo and behold, there are islands for sale everywhere.... here in the U.S..... in the Caribbean.... in the waters of Mexico.... in Thailand..... in Scotland..... the Philippines.... Panama.... all over the place. Some are beautiful, overflowing with vegetation -- while others are as barren as Mars. Some are quite small -- some cover hundreds of acres. Some are enormously expensive -- some no more than you'd pay for a modest home here in Nashville. The island pictured to the left is a charmer off the coast of Napoli, Italy. If you look closely, you'll see it has the ruins of an ancient Roman villa. And it can be yours for 22,000,000 euros. And an island in the Sea of Cortez, off Baja Mexico, that's 16 miles long. It's yours for $30,000,000. Some of the islands have power generators... some have docks and cottages.... some have nothing. 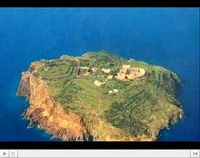 I saw one island for sale with little fishing villages, a school and a hospital. Though the advertisement didn't specify, I would infer that it has inhabitants as well. I started thinking..... if I buy the island, does that mean I would run things? Would I be like the king, or absolute monarch? If so, would I have to set up some sort of tax system for the folks living there? You know, stuff has to be paid for! Would I need some sort of criminal codes, a court system, and jail -- for "my people" who misbehave? Would I let them elect a leader to run things when I'm not there? Would island lobbyists emerge from the population, trying to manipulate things to benefit whoever is paying them? What about schools for the kids? And roads? Would vehicles be allowed, and, if so, wouldn't I have to establish some sort of traffic rules and safety standards for the benefit of everyone? 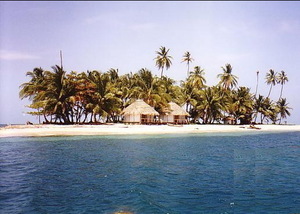 And what about a health system for the islanders? And a security force to protect my people from hostile invaders? And what about refugees from nearby islands who enter my island illegally, but with good intentions..... would that be OK? And maybe I'll need a radio station to keep everybody informed, so I'd need a regulatory commission of islanders to make sure nothing "unseemly" got broadcast, and to levy fines if it did. Hmmmmmm.... on second thought, a quiet, relaxing weekend at Dollywood might be nice.